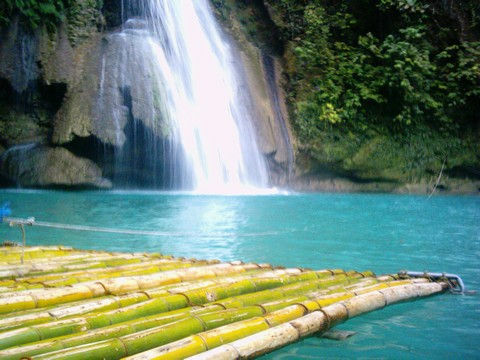 Kawasan Falls is actually a series of lovely waterfalls. The first waterfall is the biggest. The scenery gets more rustic/wilder and impressive the further up you go. From the parking area you'll have to walk about 20 minutes before reaching the first falls — along a rocky, narrow path along the beautiful river. The river is very clean & clear. The river fish can easily be seen as you take it easy and enjoy the walk. Lush tropical trees & plants line the river. You'll cross 3 small bridges before reaching the falls. Stop in the middle of bridge # 3 & look upstream. It’s a good place for photographs. 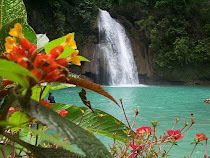 Your brief hike brings you to Kawasan Falls, a three-tiered cascade of crystal clear mountain springs. 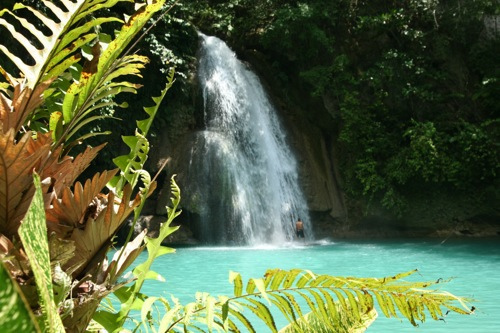 Enjoy a picnic, the lush scenery, tropical forest, and a cool swim. A very lovely experience. After a 5 - 10 minute trek going up above the first falls, you'll be able to reach the other 3 sub-falls and also the source. Don’t miss them! The fall areas are very pretty and offers (cold!) fresh water bathing, a Tarzan swing and the opportunity to climb up beside the waterfall and imitate the high divers of Acapulco! The higher up the river valley, the prettier it gets, with places where you must swim up a gorge and clamber over rocks. 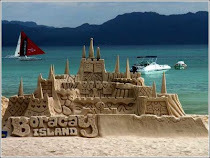 The area is popular with locals as well as foreigners/visitors, so try to avoid the weekends and holidays otherwise you will share the place with screaming children, BBQ stands and radios! The first falls is the largest and is usually the most crowded. You can bring food and/or a picnic lunch if you desire. 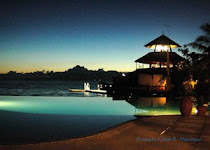 Food is also available from the resort's native restaurants – and cottages and tables are available for rent. 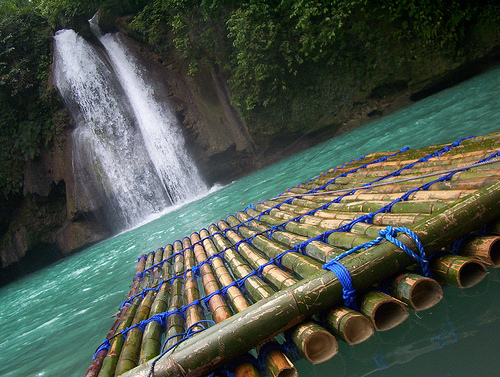 You can also rent a bamboo raft to navigate around the large pool under the waterfall, or opt for a refreshing "waterfall massage" under the falls. 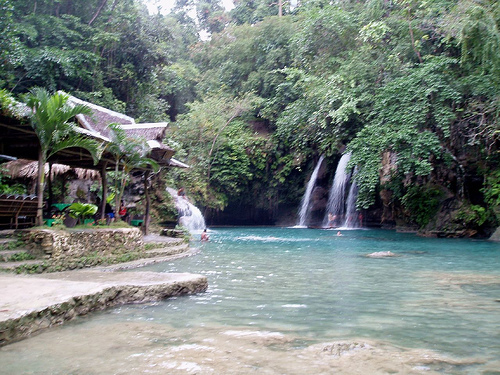 You have the opportunity to climb up beside the waterfall and jump into the water, just like Tarzan! On the western side of Cebu, some 100 km (2.5 hours drive) south-west of Cebu. 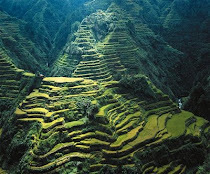 It is located in the small town of Matutinao, just south of Badian. 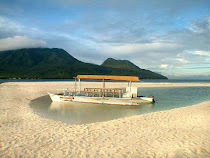 Badian is also well known for its beautiful corals, reefs, and white sandy beaches — making it an excellent diving spot.